When Energy Cycle released back in 2016, it quickly garnered a renowned reputation for being one of the easiest and quickest completions on the Xbox One. 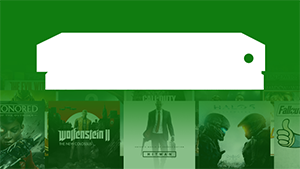 With the full 1000G obtainable in around 15 - 20 minutes, over 13,000 TrueAchievement members bought a copy to boost their gamerscore and completion percentage. With last week's achievement list reveal for sequel Energy Cycle Edge coming as somewhat of a surprise, developer/publisher Sometimes You has now released further details and a trailer ahead of its imminent December 5th launch date. The trailer showcases a sample of the game's 44 puzzles, where gamers must activate cells in order to change the colour of adjacent cells in a straight line. Energy Cycle Edge also adds new 3D elements to its puzzles, as well as two additional modes. These are "random colour", allowing gamers to go through the same level multiple times with different outcomes, and "classic cells", allowing players to replay original levels from Energy Cycle. Regarding achievements, it would appear that another easy 1000G is on offer. The list is very similar to the original for the most part, with all but three achievements appearing to be progression related. The other 3 appear to be missable but straightforward with a guide, and likely doable on any puzzle. Are you going to be picking up Energy Cycle Edge? Let us know in the comments. We've got the full list of Energy Cycle Edge achievements - check the list for guides to unlocking them.